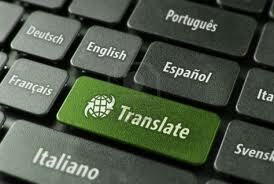 – breaking through the ‘no experience = no work’ barrier pricing and financial aspects of being a translator or interpreter. There will be a question-and-answer session and time for networking. 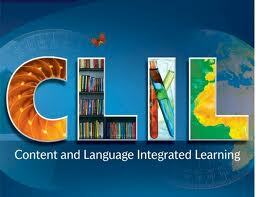 CLERA has a broad range of researchers and research candidates working in many different areas of language education. Each month, we feature one of our researchers to learn more about them, their work and their interests. Our Researcher of the Month for May is Dr Séverine Hubscher Davidson, Lecturer in Translation Studies. She received her BA (French and Spanish) and MA (Translation and Interpreting) at the University of Kent and Bath, respectively. In Bath, she also pursued her PhD entitled ‘An Empirical Investigation into the Effects of Personality on the Performance of French to English Student Translators’. She has mainly published in the area of translation process research, with a special focus on translators’ individual differences, personalities, intuition and emotional intelligence. An online petition calling on Salford VC Martin Hall to reconsider the university’s decision to “disestablish” the School of Humanities, Languages and Social Sciences is garnering widespread support. Although it seems there is a clash in what is now considered as a requisite from employers, “disestablishment” has been considered as the last resort and is reportedly due to “low levels in interest from applicants”. This could be due to a manner of reasons: tuition fee increase, culling of mandatory language learning at GSCE by Labour government, staff cutbacks in SOL to name a few. As highlighted by Professor Myriam Salama-Carr in her statement to Vice Chancellor, Martin Hall, the School of Humanities, Languages and Social Sciences should be merited for its ongoing achievements and keeping in line with what was once the University’s core mission. If you wish to lend your support to the petition, please follow the link. adjunct teacher since 2007. 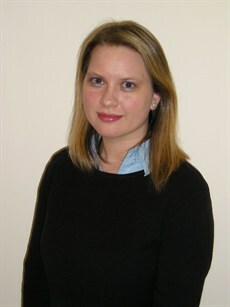 Her teaching and research interests focus on good practice in language and literature teaching and learning. Additionally, her research interests encompass children’s literature translation, translation process research, translation norms and strategies and translation competence. 22 May 2013, 4.00 – 5.30 pm (MB404C): Professor Juliane House (Hamburg University): English as a global lingua franca: A threat to multilingualism and translation? This workshop event covers the ground you need to teach pupils in order for them to understand the grammar and grammatical terminology required by the Key Stage 2 grammar test. Through practical, group based exercises, you will gain a grounding in modern approaches to the study of grammar. This workshop draws on international research to outline the benefits of Content and Language Integrated Learning (CLIL) in MFL degrees in UK Higher Education. It provides a platform for sharing practice in subject-specific content teaching through the target language and discussing implications for curriculum design and teacher training. For more information, and to book a place, go to the HEA website.